Stanley Seaview Inn is located at Stanley on Tasmania’s beautiful north west coast. 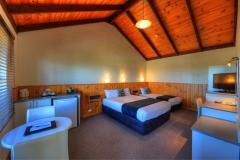 It boasts awe inspiring views over the historical town, The Nut, surrounding beaches and Rocky Cape National Park. Our three and a half star (AAA rated) property offers a variety of room types including family rooms and self contained apartments.